As more of our B2B colleagues jump into the social media pool, we quickly begin to see who is making a splash, while others tread water or stay on dry land. Some participants develop a supportive online community with apparent ease. 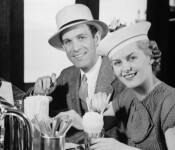 They converse with their growing online network as easily as if they were bumping into friends at the local diner. Let’s explore how they do it, and what exactly those followers and re-tweets mean to the bottom line. The world of social media is now a big one, however many successful participants from the B2B sector treat their participation as they would treat their residency in a small town. Why? Because a community is a community, whether it is online or off. There was time when people more consciously cultivated their reputation, especially in small towns, where market size was extremely limited. They wanted to be seen as the professionals that they were, at all times. In past decades nobody was ever “off-duty”. Interestingly, the online world seems to be bringing us full circle to that place. The real social media success stories start with an awareness of how others perceive them. According to one of the top salespeople at Eloqua, Jill Rowley, the line between “personal” and “business” social media is very transparent. Her prospects and clients would like to know who they are doing business with. That means she is as open to friending business associates on Facebook as she is connecting with them on LinkedIn. Perhaps for some B2B professionals, Facebook is becoming the new golf course. The folks seeking B2B followers on Facebook are keeping all posts “family friendly”. If it’s family friendly, it’s also business-friendly, and professional reputation is not a concern. I would also like to suggest that being “on Facebook” need not externalize your personal life to any great extent. I have had executives explain to me that they are “private people”, and don’t want to “put themselves out there for everyone to see”. I am the first to admit that I too am a private person, and simply do not post my most private, meaningful photos or anecdotes on Facebook. If you can find a balance with which you are happy, your clients and prospects will appreciate getting to know you, and engaging with you, in this casual format. Bottom line impact: The more “connected” professionals are online, it becomes easier to “see” what they are working on, to know where they are going to be and when (for ease of arranging live meetings), and drum roll please….to know what they need as they need it. Social media allows you to fine-tune the timing of your communications. This is the modern-day equivalent of being “the local” doctor, lawyer, plumber, etc. When you have a need, you have that one “go-to” person or place. 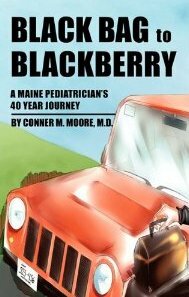 Interestingly, my own hometown pediatrician just wrote a book called, “Black Bag to Blackberry, A Maine Pediatrician’s 40 Year Journey”. His title reminds us that communication methods change, and it’s up to us to keep up, for the sake of our livelihoods. Successful B2B professionals want to be your “go to” person in the field. They understand that social media is simply a vehicle for promoting thought-leading expertise, either from their company or from themselves directly. They understand that social media is an exercise in content delivery. It is about getting relevant information to a wide collection of the people who want it. Whether of not you are the person creating the content, you can always “assimilate” it and get the “right” stuff out there. This is a practice I’ve seen from many B2B sales professionals. They don’t necessarily have their own blog, but they certainly have access to all of the great content their marketing organization comes up with, which usually includes one or more company blogs, white papers, e-books, powerpoints, etc. Sometimes they just get their client and prospects excited to attend an upcoming event, learn about a product release, stay current on industry news, etc. This starts to make a company representative a resource worth following. Bottom line impact: Increasingly, companies are taking responsibility for creating their own thought-leading content, and for promoting it. Being a “distributor” of this content helps establish you as an expert in the field. You don’t have to be a writer to be active in social media, but it does help to have corporate marketing behind you in your efforts. Some corporate social media programs are taking shape because the need has bubbled up through sales. As a former high-school yearbook editor, I remember my first experience “cold calling” local businesses for sponsorships. Do you know how many refusals I got? Virtually none. Almost every single business purchased an ad. They understood the importance of funding the yearbook for the kids of the families that supported their business. There are no one-way streets in social media either. One place that’s clear is on Twitter. Start to notice the ratio of “followers” to “following” that most of the people you know have. I’m not talking about Steve Jobs or Kim Kardashian. I’m talking about people you know in real life.You’ll see that many have a one to one ratio. Or they may follow more people than they have following them. It’s basic courtesy that if someone follows you (and you deem them relevant), that you’ll follow them back. Have you started to wonder why some folks you know have so many followers? The short answer is usually “useful content, published regularly”, but read on for more detail. “Like” posts or “follow” companies on Facebook or LinkedIn, etc. All of this is very helpful to both you and your contacts, when done genuinely. It builds out your network of “like-minded” people (again, no pun) while it develops your content. You’ll also notice that when folks get a little “famous” (meaning, they get a disproportionate number of followers), they may get a wee bit stingy with all of the above. Such are the trappings of fame. Sometimes you forget your “fans”. Can’t you picture a small town store owner out there sweeping the sidewalk and dressing up the windows? Similarly, I would suggest that you think of sending your followers only to clean, orderly, and useful destinations online, especially when linking to other people’s content. I would never dream of re-tweeting or promoting a link if I hadn’t visited the destination first. Test to make sure you are not posting a broken link, or sending people to a destination with an embedded virus. For example, has anyone noticed some of the “eggs” in the Twitterverse? These are folks who are usually seemingly high-level employees at well-known tech companies who are apparently above best practices. They can simply put out their name, title, company, use the Twitter egg avatar, follow nobody and (are you ready?) not even tweet! But they will have thousands of followers. It’s true. Do you suddenly have a newfound respect for the tweeting celebs who are at least trying to entertain and engage their millions of fans? Bottom line impact: Successful social media users make it a habit to find what they consider “quality” sources of content to recommend. They may keep lists or subscribe to RSS feeds – anything to organize their selection, so it’s easy to float a regular stream of useful material. Not only does this attract and retain followers, it also ingratiates them with the content producers. They form little content partnerships that are two way streets. One minute they are re-tweeting blog posts, they next they are sending each other referral business. If you were raised in a small town, think back to that popular person, who you either liked, or who got under your skin a bit. Usually that person, or their family, has an innate sense of political savvy. They “know who to know” in order to further their agenda. And for one reason or another, they are no stranger to acknowledgement from others, or “fans”. Successful social media participants are often part of a network of ….you guessed it…other successful social media participants. As you see who the influential folks in your space are, you need to think about if and how you’d like to cultivate a relationship with them. Depending on your style and your agenda, you may want to add them to a blog roll, or pick up the phone and get to know them. If they lead a LinkedIn group, start to participate in their discussions, or comment on their blog. You’ll get to know one another’s style and content, and nature will take its’ course. Not sure where to start finding these folks? Start with keyword searches, LinkedIn groups (note the leaders), and pay particular attention to folks who have written books on your subject matter. Bottom line impact: Cultivating relationships with industry influencers can get your content on the map literally overnight. Get to know these folks by reading up on their content, and determine if and how you can have a complimentary relationship. Don’t be put off by “competitors”. Social media has sparked a revival of “co-opetition”, or cooperating with your alleged competition. If you plan on being a long-term resident of a community, you realize that you may not want to come on too aggressively. Give folks a chance to get to know you, based on your merits. When you see how large someone’s fan/follower base is on Facebook, Twitter, or LinkedIn, realize that those connections didn’t jump on-board overnight, it takes time – think in terms of months and years, not days and weeks. It’s a little-known fact that Twitter actually has “safeguards” in place that will not allow you to aggressively pick up or drop followers, all in the name of a more meaningful user experience. It tracks your activity and measures it up against an algorithm of its own that looks at your ratio of following to followers, and how quickly you add or subtract other accounts. This discourages any automated process of adding followers, which is tantamount to Twitter’s version of spamming. If the system flags you, you will be warned to follow best practices and disallowed from following anyone else until you mend your ways. Bottom line impact: Do not expect results overnight. But if you are selective about who you follow, and if you give them reason to follow you (see “supporting others”), you will start to nurture business leads, and find those tweets and “likes” converting to email, phone calls, and in-person meetings. Kathy Tito, President of New England Sales & Marketing, has been making Social Media a lead generation priority since 2008. She implements social media practices for B2B companies directly as well as through marketing agencies. 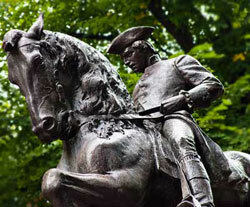 You may contact her at (978)387-0999, or email her at KTito@NewEnglandB2BMarketing.com.